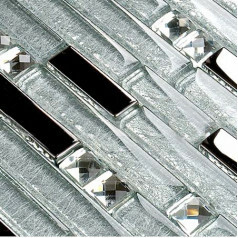 This is our new design marble glass tile, we name this tile "Stone Age". 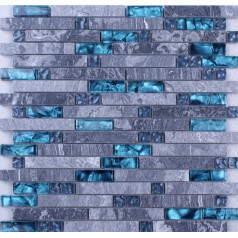 It is interlocking design with blue crystal glass and grey marble stone. 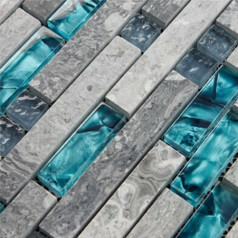 we polish the surface of the marble to make it glossy, the blue glass chips make your whole room look more interesting. 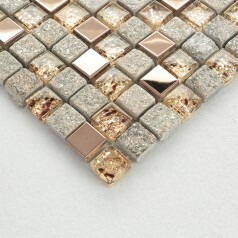 The general sizes for these stone mosaic chip is 23mm x 98mm striped. Each sheet of the tile is approximately 12 x 12 Inches and mesh mounted, non-sanded grout for installation. It's used for home decoration, such as the kitchen or bathroom backsplashes, shower walls and floors, accent walls. Strong, durable, contamination free.